Jumping rope is an excellent exercise to help improve stamina and conditioning. But it can also get pretty boring the better you get at it. One method to make jumping rope more challenging is to do “Double Unders,” which means you swing the jump rope two times underneath your feet with only one jump. For a beginner’s tutorial on how to jump rope, check out this article: Learn How To Jump Rope Like A Pro. Double Unders have gained popularity more recently as an exercise used in CrossFit workouts and competitions. The video above of a double unders demonstration, and the tutorial below, will help you complete double unders like a pro. 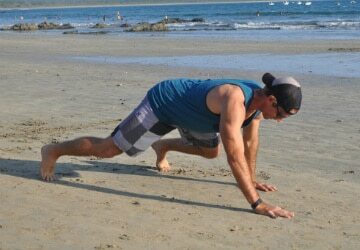 The goal is to start doing double unders consecutively, which is a seriously intense workout. 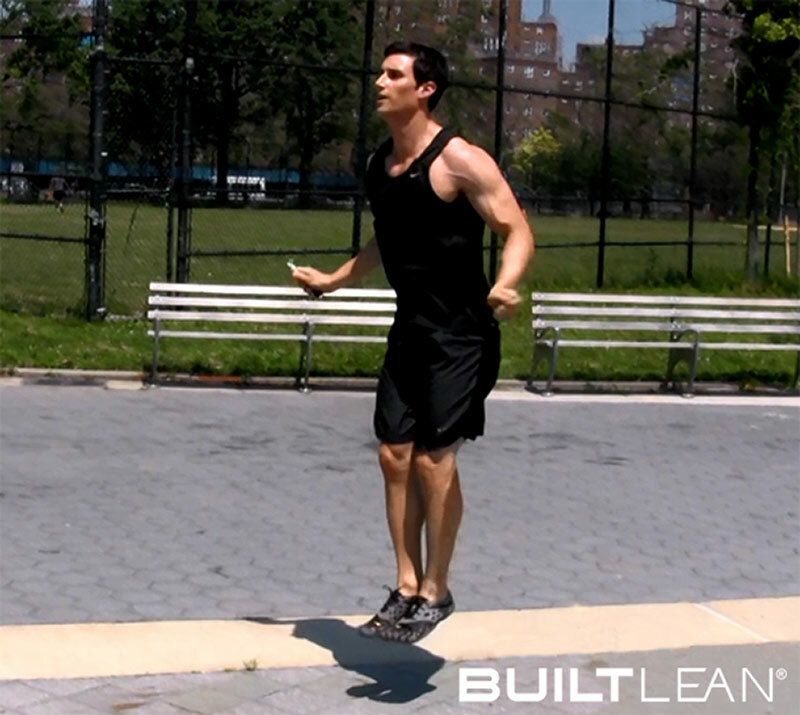 As you can see in the video above, a double under requires that you jump much higher than a normal jump rope revolution. In fact, you can jump just an inch off the ground during your normal jump rope routine, but a double under requires you to jump much higher. Jumping higher and slower helps create enough time for you to swing the jump rope 2 times underneath your feet as opposed to just once. As you get better and more efficient at doing double unders, you won’t have to jump as high. Probably the #1 most common jump rope mistake is when beginners flail their arms as opposed to turning their wrists in order to create momentum for the jump rope to start revolving. This is similar to a swimmer being very inefficient in the water: an inefficient swimmer gets tired very fast and doesn’t go fast. 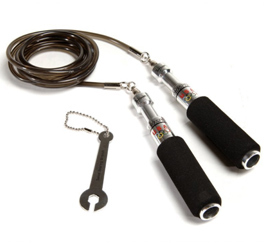 With jumping rope, you want your skipping to be as efficient as possible so you don’t waste too much energy. If you do, you won’t last for much more than 30 seconds, or a minute. Jumping rope is all in the wrists, which should be roughly at your waist. Another related mistake beginners make is not only using too much arms, but extending the arms and elbows to far away from the body. This makes the jump rope shorter so revolutions become more difficult and it’s harder to hold you arms extended from your body. Instead, keep your elbows close to your sides. Because double unders require that you generate significant speed to spin the rope around 2x with one jump, beginners will often bend the torso forward in an effort to shorten the distance the jump rope needs to cover. Instead, remain upright with only a slight bend in your torso as in the photo below. 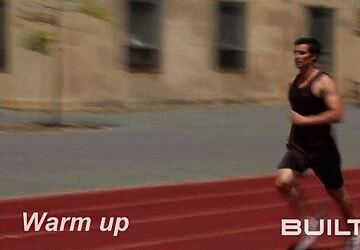 Now start doing consecutive double unders with as many as you can in a row! Eventually, you will be able to complete 25+ double unders. As a simple and effective workout, complete as many double unders as you can to failure for 5-10 rounds with 30 seconds rest in between each set. Which Jump Rope Is Best For Double Unders? 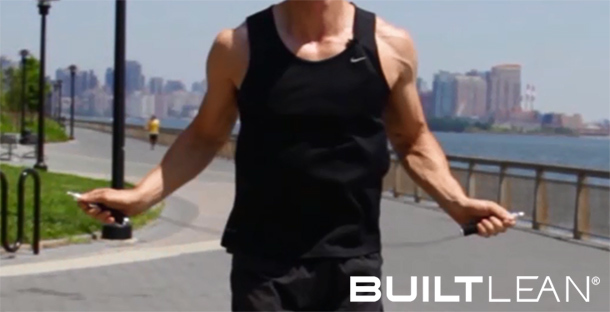 The quality of a jump rope will definitely impact your ability to complete double unders. The jump rope I used in the video is the Buddy Lee Jump Rope, which I like because of its patented swivel system that is very smooth. I also have the Valeo Jump Rope which I used in my other jump rope videos. 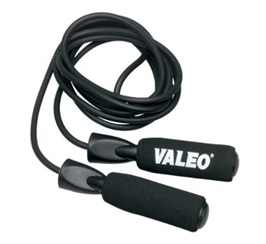 While the Valeo Jump Rope is not quite the same quality as the Buddy Lee Jump Rope (mostly in terms of the swivel system and rope speed), it’s very good for the low price of around $8. Hope this was a helpful tutorial and if you haven’t tried to do double unders yet, you give them a shot. 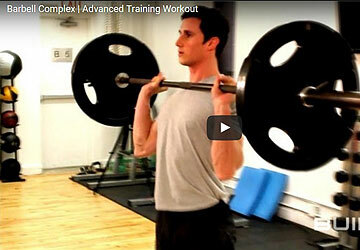 You will be impressed how fast you can improve your conditioning. I perfected mine by practicing for 5 days straight.. about an hour a day because I was sooo determined to perfect them and since I have horrible coordination, it took me forever!. The first day I got ONE double under. The second I got a couple more and then soon I was doing double-unders consecutively. Practice practice practice!! I remember my arms, legs and even face had red marks all over it from the rope. Ouch!! Thanks for sharing those tips Katy! @joe – that’s a great question. I do have every intention of creating a maintenance program / workout routine after the 8-weeks are done. The challenge is that I’ve got so much on my plate it may take some time, but my #1 priority is improving resources available to our customers. 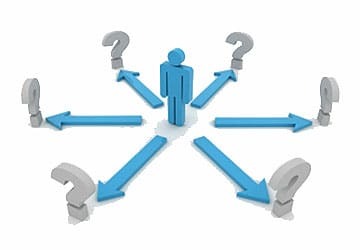 What I’m planning on doing is creating a membership website with an exercise library, workouts, and full length video workouts that people can follow.